This is the blog Demon Vampire by Virgil Allen Moore. Do you need a mouthwatering story with a breakthrough plot that keeps you on your toes? What if you could find that complete satisfaction you've been searching for in a novel? Think of how wonderful that would be. Now is the time for your desires to be sated. Discover the acclaimed style of Virgil Allen Moore and buy Demon Vampire. Demon Vampire Interview at 1 hour mark. If you had to choose power, grace, and immortality at the cost of your soul, would you? What if the choice was easier than you think? Small, incremental segments of strength for a few childhood memories? The ability to accomplish your dreams, your desires, for the corners of your mind you don't often use? What if you could have everything you ever wanted and the only price would be the things that make you who you are? What would you do? Faced with a grave choice of morality, what would you choose? Get The Book For FREE!!! Tweet #Demon_Vampire http://demonvampire.com/ For The Best Vampire Book Ever!!! And then email virgilallenmoore@live.com for the book! Download kindle for your iPhone. Download kindle for your Android. 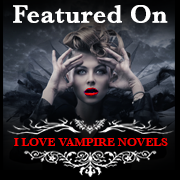 Own the novel that is redefining what the vampire is, in the way we all have wished them to be. For those that live in the UK, you can buy Demon Vampire directly using this link. You can read sample chapters of Demon online for free right now. Disclaimer: Do not read if you are pregnant, breast feeding, or think you are pregnant. Remove all small children from the room as your eventual outbursts may affect them. If you have a weak stomach, an aversion to pain, or generally faint at the sight or flow of blood, do not continue. Demon Vampire is about vampires, the half vampires referred to as vampeals, and the unique phenomenon that are demon vampires. If any of the stated conditions apply, it is in your best interests not to proceed. I strongly advise you to refer this site to one of your friends, sit quietly in the corner of your darkest room, and rock back and forth in a chair softly repeating to yourself: "There's no such thing as vampires, there's no such thing as vampires" -while slowly repairing the subconscious damage this site has done to your frail mental constitution so far. Please enjoy safely and if you can withstand the read, venture further. Copyright 2010 - 2015 Virgil Allen Moore All Rights Reserved © 2014. Travel theme. Powered by Blogger.